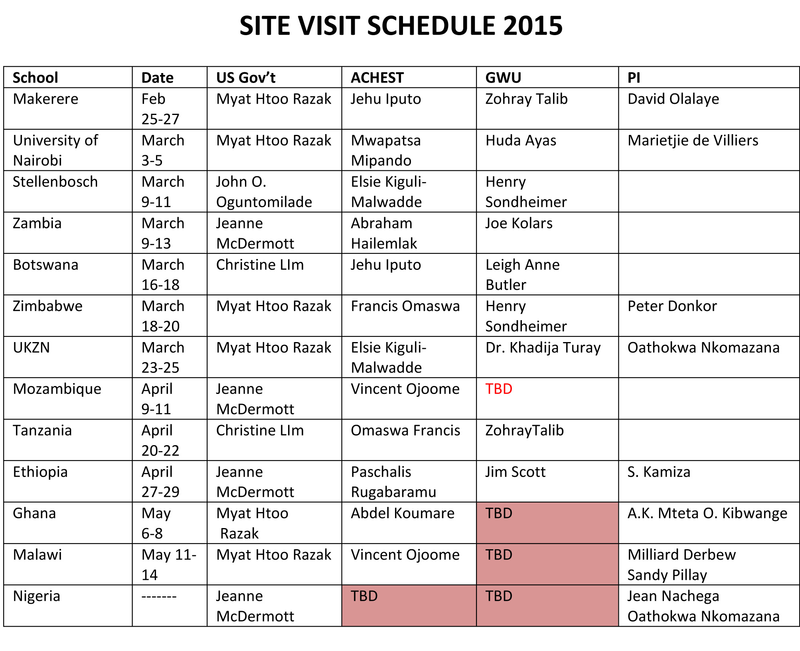 Site visits to MEPI universities for 2015 are starting soon. During site visits, representatives from the Principle Investigators (PI) council, US government, ACHEST and George Washington University go to MEPI member universities to monitor and evaluate progress, share experiences, indentify gaps and offer technical advice. The MEPI representatives meet with students, faculty and representatives from the education ministry, dental and medical councils. There are 13 universities under MEPI and ACHEST is taking the lead on site visits for 11 of these 13.Click here for the site visit schedule.